The Club’s professionals teach lessons to beginning skaters during group lessons and are available for private lessons during Club ice time. Jacki started coaching with SCAD in 2001 and has been the Executive Director of SCAD since 2005. She received her training in Lake Placid, New York. Jacki is a US Figure Skating Quadruple gold medalist in moves in the field, freestyle, figures, and dance. She is Professional Skater’s Association certified in moves and freestyle, certified in sports science, CER-Category A, as well as PSA hockey level 1 and power skating certified. 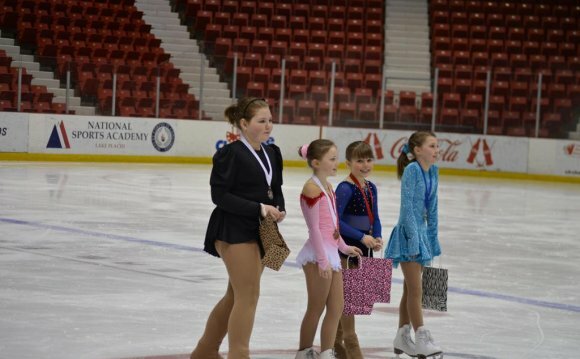 She has coached students through their USFS Gold medal in moves in the field as well as freestyle and pre-gold dances. Jacki also coaches the Dartmouth College Figure Skating Team- six-time National US Intercollegiate Figure Skating Team Champions. Jacki coaches any level of skating at any age in Freestyle, Moves in the Field, Dance, and hockey. Rose is a veteran SCAD coach and skater. She has coached with the club since 1994 and has been a member since she six years old. During her training with J. Michael McGean, she passed her preliminary dances, third figure and novice freestyle. During her adult career she has passed her Adult Gold Freestyle and Adult Gold Moves in the Field tests. Rose continues to attend conferences and seminars to further her knowledge of figure skating. She has taken her Professional Skater’s Association basic written exam. Rose is a certified physical education teacher in the Upper Valley. She can teach all levels of skating from beginner to advanced. Nicole grew up and trained in Orange County, California, where she gained experience in Freestyle, Moves in the Field and Power Skating. She moved to New Hampshire in 2005 where she continued her training, passing Juvenile freestyle and Intermediate Moves in the Field. She passed the Professional Skaters Association Basic written exam, and has since participated in and directed numerous skating shows. Nicole coaches all levels and ages in Freestyle, Moves in the Field, Power Skating and Ice Theatre. Sarah Jo has had the opportunity to work with World and Olympic coaches, including David Wilson, Rosanna Tovi, Andrew Naylor, Peter Burrows, and Paul Duchesnay in Lake Placid, Montreal, New York City, and Florida. After competing in national qualifying competitions at the Novice level, she became a pair skater, partnering with Themistocles Leftheris. Her accolades include being a gold medalist in Moves in the Field, Eastern Sectional Pair Champion, a 2000 National Championship medalist, and a former International Team member. In addition to competitive experience, Sarah’s training is highly influenced by the creative and conceptual performance employed in ballet and ice exhibition production, which she has studied under Kennet Oberly, formerly of the Boston Ballet. Sarah’s highest interest is partnering with a skater to help him/her achieve his/her goals through individualized instruction that focuses on bringing out both the artist and athlete through this fusion method. Sarah is available Monday, Tuesday, Thursday, Friday, and Sunday for private or group lessons.